The Eighteenth century in France is marked by the publication of Diderot's Encyclopédie and the ideas of Illuminism, 'the enlightenment', from the French word 'lumières' or lights. These concepts underline the beginnings of rationalism, ideas of classification and arrangement of human learning in a single book, in order. Napoleon, a student of gunnery, one of the most mathematical of the military arts, was an adept of the rational. As recorded by the poet Népomucène Lemercier and quoted by Arago, Napoleon once remarked 'If I had not become commander-in-chief of the army…I would have launched myself into the study of the exact sciences…And since I have always had success in my great undertakings, I would have become a highly distinguished scientist'. We can see in Napoleon's career a permanent interest in study and research in both the arts and the sciences. First in his success at the military school in Brienne. The anecdote runs that the young Bonaparte was absent from class one day. His teacher Baur asked where he was. 'At his artillery exam', ran the reply. 'What does Bonaparte know of that ? ', sneered the teacher. 'But he's the best at maths in the school', came a pupil's reply. Napoleon's desire to become a scientist was again mentioned in Egypt shortly before he was due to return to France in 1799. Napoleon put it as one of the great regrets of his life, which had been with him from the age of fifteen. As Geoffrey Saint-Hillaire (future of member of both the Institut National and the Institut d'Égypte) underlined, his passion for the sciences was not a passing fad; it was a real passion! And when on 25 December, 1797, Bonaparte was elected to the Institut National (predecessor to the Institut de France), he could indulge his passion fully. In fact he had been elected (on his own request) as a result of his success in the Italian campaign, not for any scientific or artistic success. But amongst the academic elite of the country, Bonaparte was happy to follow humbly. 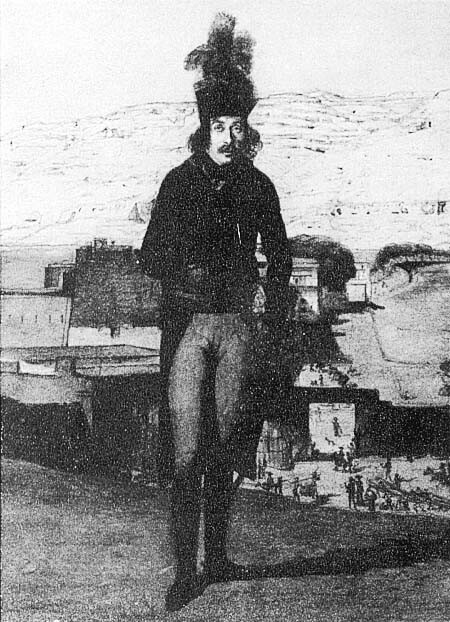 Over the period from his election to his departure on the Egyptian campaign (19 May 1798) he attended sittings of the Institut seventeen times, giving reports to the body on various inventions, notably one on the first automotive steam-powered vehicle invented by Cugnot. 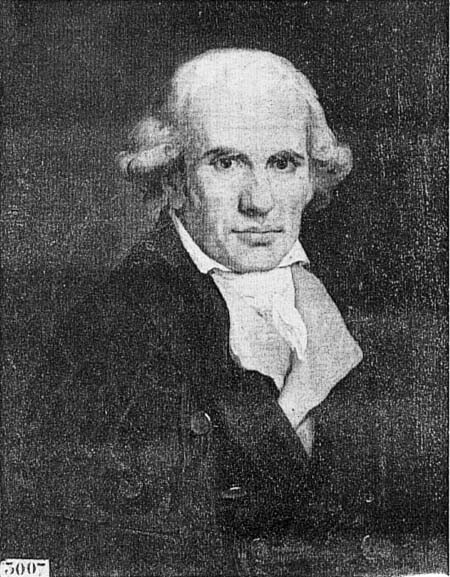 As reported in the Moniteur newspaper, Bonaparte was also to give an account of a new book published in Italy on the use of compasses in geometry by Lorenzo Mascheroni. Invited to a dinner a few days before the vote, Bonaparte was recounting the book. No-one at the dinner had read it. So Bonaparte asked for a pencil and a pair of compasses in order to explain the theory. Laplace, who was at the dinner, remarked 'General, we expected a great many things from you but certainly not lessons in mathematics'. In the full flush of this enthusiasm for all things scientific, the Expedition to Egypt was organised. No surprise then that alongside the army of soldiers there was to be an army of academics, ready to conquer and subjugate knowledge of Egypt and hand it over for the benefit of the world, not to mention bringing the benefit of Western learning to Cairo and its environs. This was the famous 'Commission des Sciences et Arts'. 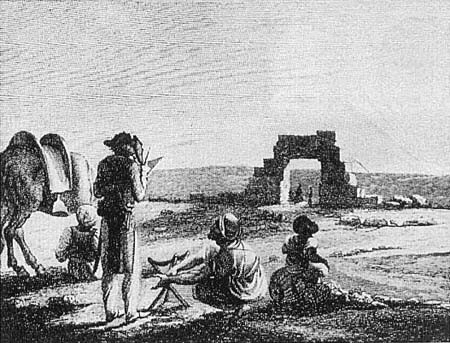 If the aim of the military enterprise was curb British influence in the Mediterranean and Egypt and also to set up a base camp from which to attack British interests in India, the aim of this commission comprising 167 academics, was – as Jean-Lambert Tallien, in the commission's journal in Egypt the Décade Égyptienne, put it – 'not only that it should be useful for France in political and commercial terms. Arts and sciences should also profit. We no longer live in a time when the only deed of conquerors is to destroy; where greed is their prime motivation; where devastation, persecution and intolerance accompany their every deed. Today, the French respect not only the laws and customs of the land but also the prejudices of those whose territory they occupy. They let time, reason and instruction bring about the changes which philosophy and the 'lumières' of the century have prepared and which every day come nearer to being put into action'. Of the 167, the majority were scientists, and it was the duty of Gaspard Monge and Claude-Louis Berthollet to make the selection. All the major institutions and research centres were asked to supply scholars. The École Polytechnique alone sent 45 of its staff. 215,000 livres was spent by General Caffarelli du Falga on scientific equipment alone. For the creation of a library, 25,329 livres was spent on books – J. B. 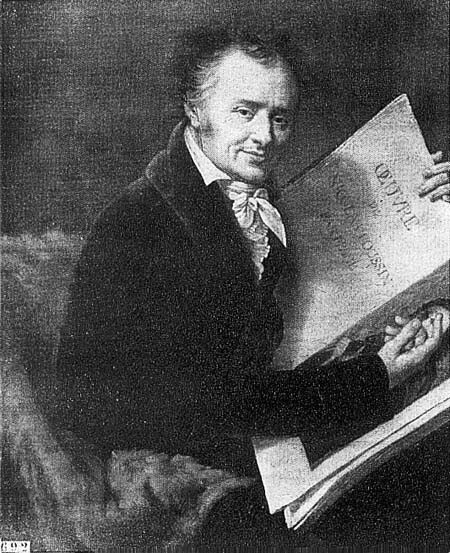 Say selected 550 volumes, but all the scientific works were chosen by Bonaparte himself. And the expedition was kept secret up until the very last moment. Those who agreed to go were not told the destination. Even Monge and Berthollet could not be persuaded to spill the beans. Monge's wife, Cathérine Huart (6 April 1798), remarked exasperatedly 'I got him to drink a whole bottle of champagne, but he still wouldn't say anything'. Most trusted themselves entirely to Napoleon. Vivant Denon's words would seem to stand for all 'A single word from the hero who commanded the expedition was sufficient to make me decide to go. He promised that he would bring me back safely with him, and I didn't doubt it'. But when they got there life was tough. On disembarking from the ship at Cairo the Montemotte, they had to walk to the town carrying their own baggage, crossing ancient graveyards and the ruins of the Arab settlement. And when they arrived at General Caffarelli du Falga's house, nothing was prepared, there was no water to drink. They found it hard to get billets in the houses of Europeans in the town – some slept ten or twelve to a bedroom, eaten alive by mosquitoes. Work conditions were no better. Beduins frequently attacked the 'savants' as they worked. Bonaparte wished for these scholars, or 'savants' as they were called, to be in Egypt what the Institut National de France (set up by the Revolution) was to France, in other words an Institut d'Éypte. It was set up on Bonaparte's orders and run by Monge and Berthollet. Indeed, only eighteen hours after the order founding the institute had been given Bonaparte was able to write, 'citizens Monge, Berthollet, Caffarelli, Geoffrrey Saint-Hillaire, Costaz, members of the Institut National, citizens Desgenettes and Andréossy will meet in the hall of the Institut at seven in the morning to lay down the regulations for the organisation of the Cairo Institut and to designate its members'. The engineers Lancret (to replace Say) and Jacotin. to give its opinion on questions put to it by the government. And despite the fact that the majority of the work was printed before 1822, the year Champollion deciphered Egyptian hieroglyphs, nevertheless the work is a monumental contribution to the study and knowledge of Egypt. Perhaps now we can see the reason for Napoleon's often quoted 'le temps que j'ai passé en Egypte a été le plus beau de ma vie car il en a été le plus idéal' (the time I spent in Egypt was the best in my life, because it was ideal in every respect). Egypt for Bonaparte was the complete fulfilment of all his desires, military success, scientific research and personal fulfillment in the form of 'La Belilote'.